A quiz about History of Mathematics & Men of Mathematics– by SatyaVrat, Nanga Fakir, Nitesh Kumar. Answers are invited in the comment section. 1. We’ll start off with an easy one: Highly respected card and tricks magician, one of the greatest recreational mathematicians, known for his outspoken sceptic nature towards junk and pseudoscience, writer of very famous long running columns in Scientific American, whose anagram is the title of this quiz. Identify the name of column and the mathematician. (No marks for column identification only). 2. Many regard Gauss as the greatest mathematician of all times, but Gauss maintained these three as the greatest- Newton, Archimedes, and _________ (a relatively unfamiliar name, recognised for his work in Abstract Algebra). 3. X= (1-Δ.s)+ Δ.Tx is the equation that is the core of perhaps the most ubiquitous algorithm today. It will not be an exaggeration to say that most of us eat, live and breathe this algorithm. What is it? 4. 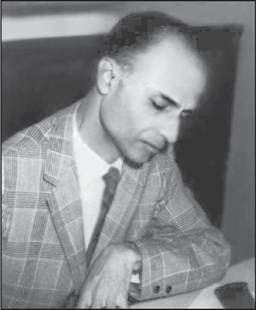 This great mathematician, who did brilliant work in logic & theoretical computer science, died a very unusual death, i.e. by eating an apple (that was cyanide coated). Can you name him? 6. They say that even the greatest logician is after all an ordinary mortal. So there was this man, and amongst his delusions was the belief that unknown villains were trying to kill him by poisoning his food. For this reason, he would only eat his wife’s cooking, refusing to eat even his own; this, in particular, would cause him to starve to death after the death of his wife. Can you guess who are we talking about? 7. Studied particle physics in Cambridge, worked in CERN, author of widely acclaimed bestsellers related to mathematics, and is presently a popular TV/radio broadcaster in Britain. He has been popularizing science and mathematics and his book ______ is perhaps the only book ever about mathematics that grabbed the no. 1 bestseller spot in UK. Also awarded the prestigious Order of the British Empire and sports a Mohican haircut. Identify the guy. Identify the speaker & put funda. Widely regarded as Einstein’s successor in the role of greatest living physicist, he is also a brilliant mathematician & is called the father of modern string theory; works at Institute of Advanced Institutes, Princeton. You could have spotted him in the series ‘The Elegant Universe’. Identify. Born in Kanpur, he did PhD under Paul Dirac, fellow of Institute of Advanced Institutes, Princeton, an IBM-von Neumann Prof. there, FRS. A famous Indian institute is named after him in Allahabad. Can you guess who is he? 11. Although one of finest pure mathematician of century, got recognition for very applied field. Invented board game Hex, said to be a sexual fanatic and gay (part time gay, we mean!). His biography is considered to be one of the finest ever written. Identify. 12. American president Garfield one of the few American Presidents who was assassinated, gave an alternative proof of this famous theorem. Can you guess what theorem are we talking about? 13. This movie is said to be inspired by the life of Ramanujan, the screenwriter admitted in an interview. He subsequently picked up the Oscar for best screenplay. Name the movie. 14. This man, when on an evening walk with his wife, suddenly got struck with a thought and fearing that he might lose this, wrote a few equations on a bridge nearby. Later this formed groundwork for one of the most far reaching mathematical discovery. Who was the man, and what did he write? 15. A renowned Indian professor, known for his contribution for a famous Number theory algorithm, considered by many to the only revolutionary work to have come out of India in the recent past, was awarded Clay Maths Award recently. Name him. 16. One of greatest mathematician of 20th century, his name resembles with another (even greater) mathematician. Largely worked in solitudes/prison, did pioneering work in algebraic geometry and number theory. Spent 2 years at Aligarh Muslim University in 1930, was keen in Sanskrit literature. Any guess? 17. Connect- A.I./ Stephen Hawking/______ Tilings/ Chess Grandmaster/ Knighthood. 18. Ralph Alpher, Hans Bethe and ______ were regarded as the α, β, γ of theoretical physics in mid 20th century. γ is also known for a cult book on popular science and was awarded the “Kalinga” Prize for popularization of Science by the UN. Who is γ and name the book? 19. FRS, Padma Vibushan, outspoken Brahmo Samaj follower, he did pioneering work on anthropometric variations and large scale sample surveys. He also laid the ground works for one of the most renowned Institutes for original research in India and was also a good friend of Meghnad Saha and Satyendra Nath Bose. What Institute was set up by this guy? 20. Some people are mathematicians, some are actors, and a few are both! Well, there has evolved a ranking system to measure the greatness of these guys, in terms of a natural number-the lesser the number, the greater the guy is. What is this number called? 21. 6174 is X number, 9999 is X constant. X is the name of an Indian number theorist. Identify. 22. “Physics, as we know it, will end in six months.” Well, we all know how false has this statement, said in the beginning of this century been. But no offense to this great theoretical physicist who would get so swayed away by his then fundamental breakthrough as to utter it. Who is the guy who said this and was proved completely wrong? 23. There is a game in which you have to choose between 3 identical doors, behind one of which is a grand prize, and others contain nothing. Once you have chosen a door, the host open one of the remaining doors, behind which he knows is nothing. Then, he asks you if you would stick to your door, or would you rather swap. What would be your best strategy? Put funda. And can you tell the name of this famous problem? 24. The fiction book written by this 19th century writer, who is well famous even today, became so popular that the Queen of England asked him to present the first copy of his next book exclusively to her. Although her order was followed, but, to the bewilderment of the queen, the next book was titled-‘A Synopsis of Algebraic & Transcendental Equations’. Can you name the guy? Name the source (Hint: An ancient Indian scripture).